Mmmmmmm !! Beautiful ! And delicious, too. Your “suns” are just plain gorgeous !! ooooo… I love this type of ruler work. Very relaxing when it’s done as precisely as this. I’ll be patiently waiting to see more pics. Looking good. Can’t wait to see more! Well, I’d say you’re off to a good start. 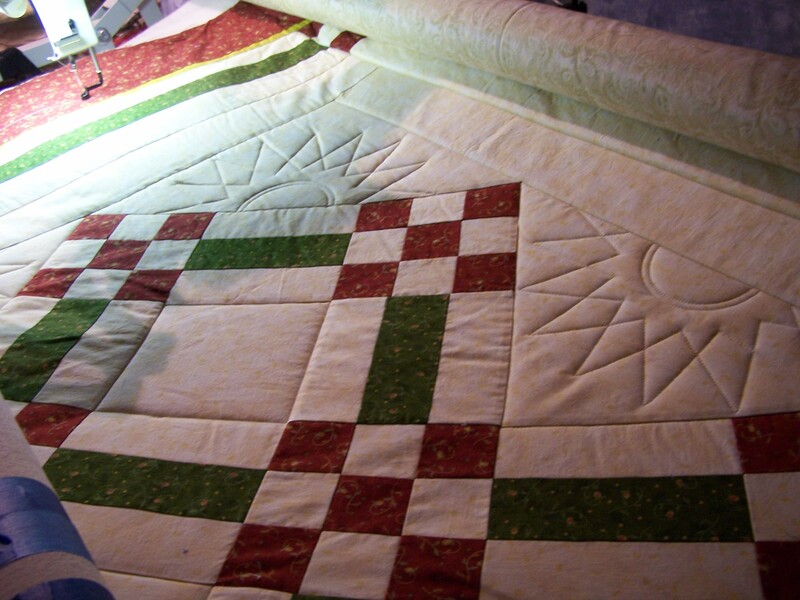 Looks good….uh, I could have swore you already quilted this quilt…HUH! I do like it though. Very much my type of quilt that I make. Ok, keep going, I’m paying attention now LOL! I think this quilt could really look cool and not so feminine if you leave the feathers off. Wow Randi – you’re doing a wonderful job. « What is happening to my hair?